← Caption Contest II Winner! 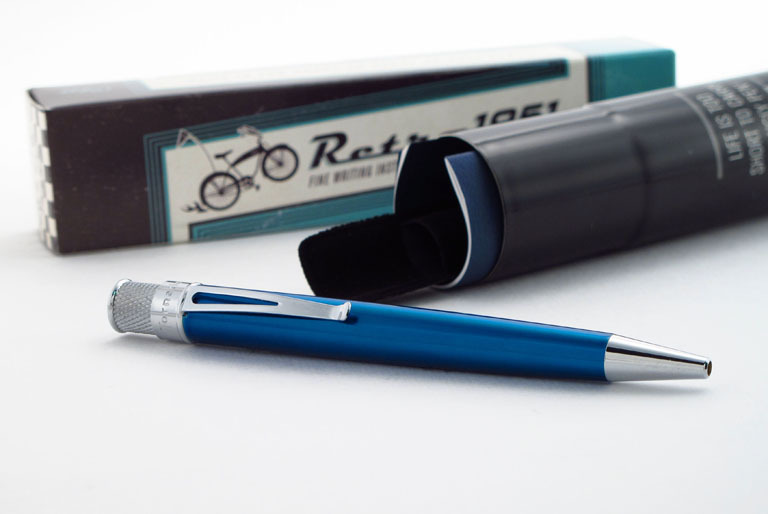 The Tornado has been a part of Retro 51’s lineup for the last 16 years now. With its trademark twist-top and cool modern look, it is easily recognizable. Just as recognizable is the nifty aluminum “cigar tube” that each Tornado is packaged in. 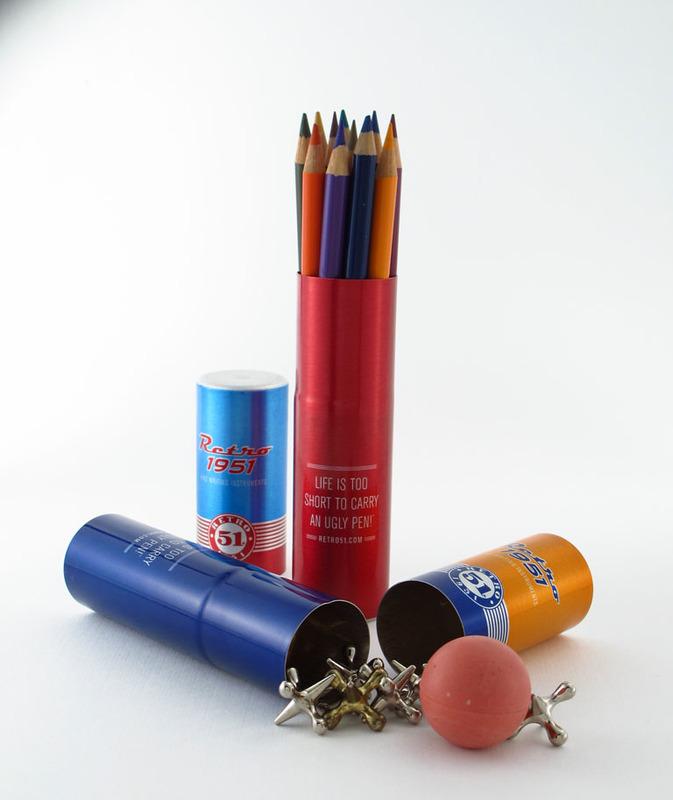 Besides protecting your favorite writing instrument, what other clever uses have you devised for our packaging tube? This weeks competition will award the most unique and clever answer with the Monroe Vintage Metalsmith Tornado… It is a textural delight with its diamond cut barrel overlaid with a dark red metallic lacquer to add a cool look and a great feel. Feel free to post a picture on Facebook, Twitter or tag us in an Instagram photo showing how you have also used your cigar tube. Contest ends midnight on Wednesday, July 4th! Keep my weed in it. Some hold pipe cleaners, another holds vintage radio knobs. Not sure why I put the knobs in there years ago but they’re still there. Strangely enough I keep my pen there. I don’t want it getting scratched up and ruined! Love my Retro51’s. I gave one away and could not wait to purchase another one. I fill the bottom half with sand to hold it in place, then use it as a launch tube for fireworks for our 4th of July festivities! The metal tube is just the right height for a bottle rockets! A small cookie/biscuit dough cutter. I wanted her to recreate the process for a photo opportunity, but the suggestion was quickly shot down. My daughter was all for it, but my wife gave me a look. Permission denied. I keep candies for my nephew in mine. Hopefully in time he’ll ask about what originally went in it and he’ll want a Retro 51! Caleb! I don’t think you can ruin a Tornado. My Big Shot Manhatten was lost in my gravel driveway a few months. I replaced the refill, used 0000 steel wool on it. Still a favorite! Love my Tornados! Wish the white and the red acrylics would return.